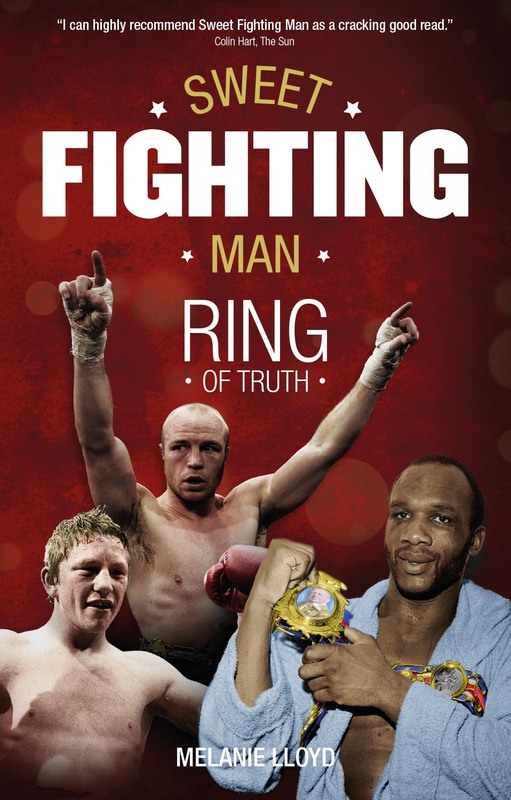 Melanie Lloyd’s third instalment of this series sees her interview more British boxers from yesteryear who reflect on their careers with tales of their hard fought fights and accolades in and out of the ring. It’s basis is a collection of interviews from genuine nice guys of the sport, who worked hard to establish themselves in an unforgiving sport. What comes across well in the book is the rapport Lloyd builds with the fighters she interviews, and the way these fighters seamlessly open up to her. Most interviews take place in the comfort of homes and local pubs that the fighters frequent, giving a good chance for good conversation and excellent memories. The book begins with the tale of Jon Thaxton, the former British and European Lightweight Champion. Thaxton already had seven career defeats on his slate in his first 28 fights, including unsuccessful challenges for the British Super Lightweight Title against Jason Rowland and Ricky Hatton, and a Commonwealth Title challenge at the same weight against Eamonn Magee. After the Magee reverse, a sixth round stoppage defeat, “Jono” enjoyed an Indian Summer, moving down a weight class to Lightweight, where he rebuilt with twelve straight wins, capturing the British Title in 2006 against Lee Meager and defending it twice against Scott Lawton (TKO7) and Dave Stewart (TKO12). He would also go on to lift the European crown in 2008 stopping Juan Carlos Diaz Melero in three to cap a remarkable career. Dave “Boy” Green describes his journey to the top, as British Champion at Super Lightweight, and European Champion at both Super Lightweight and Welterweight. This in addition to his infamous WBC World Welterweight Title challenges against Carlos Palomino in 1977 and the great Sugar Ray Leonard, three years later, when the Maryland man was in his pomp. Both ended in stoppage defeats, but put Green in the top echelons of great British boxers. Sylvester Mittee, the former British and Commonwealth Welterweight Champion is profiled, as is Steve Holdsworth, who had a short career, but branched out into promoting and commentating after. Colin Lake, who combined competitive horse racing with boxing for a time, before carving out a thirty fight pro career, is covered and comes across as a genuinely nice guy. He started to train fighters after he retired, taking Colin “Dynamo” Dunne to the WBU Lightweight Title as well as training Super Flyweight contender Ivor “The Engine” Jones, and more recently John Ryder. The most interesting story for me, was the one of Bunny Johnson, who moved from Jamaica to Birmingham as a youngster and went on to become the first black British Champion. He first won the Lonsdale Belt at Heavyweight by defeating Coventry’s Danny McAlinden, but he would also go on to win the Lonsdale belt outright at Light Heavyweight, a feat which still hasn’t been achieved again to this day. Popular Luton Lightweight, and Super Lightweight Billy Schwer is featured, and describes his career as British, Commonwealth and European Lightweight Champion, as well as picking up the IBO Title at Super Lightweight. He is now a motivational speaker, and lends his skills towards the mental side of life through the things he learned in Boxing. The job of a referee is also covered at length, and a trinity of referees are discussed by several boxers featured in the book in Larry O’Connell, Sid Nathan and Bob Williams. The pressures that referees face in getting a crucial stoppage correct, or their ability to do their job if they haven’t boxed themselves before is an interesting talking point. Joe Somerville is the journeyman who saved many a show, and boxed in the booths in his younger days, amassing thousands of bouts. He is saved for last, as sadly, he passed away in February 2014. He still had a thirst for life until the end, and was accepted for the London Marathon aged 80! What is humbling about the book is that they really don’t make boxers in the mould of the ones covered by Melanie Lloyd these days, and they probably never will again. These are real fighting men, who would never shirk a challenge, and were never overly blessed with the eye watering purses and glamour that is afforded to prize fighters of today. It’s good to see that most of the men involved are associated with ex boxers associations, in which the camaraderie, and stories from years gone by are told and retold.